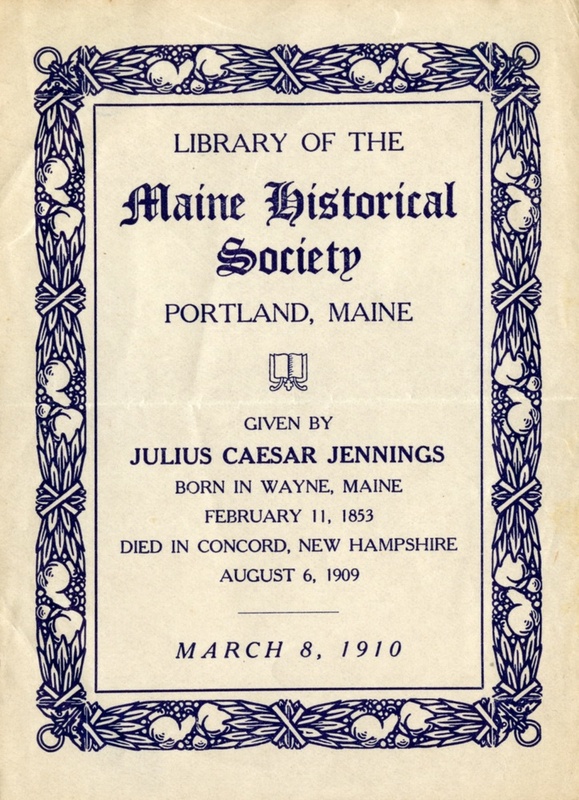 Typographic-style bookplate with memoriam below name that reads “Given by Julius Caesar Jennings, born in Wayne, Maine, February 11, 1853, Died in Concord, New Hampshire August 6, 1909." March 8, 1910. Surrounded with ornate border of wheat stalks and fruit. ~ Unknown, “Library of Maine Historical Society, Portland, Maine,” Portsmouth Public Library's Online Archives, accessed April 18, 2019, http://portsmouthexhibits.org/items/show/1724. 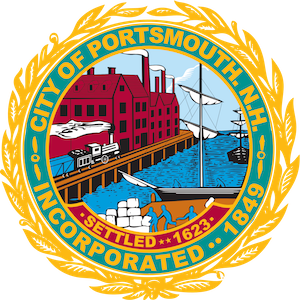 Portsmouth Public Library, Special Collections Dept. Album 2; 2 47 Maine Hist. Soc.